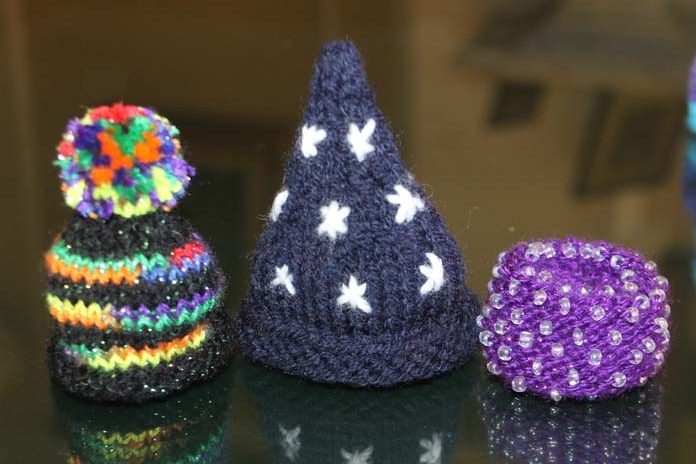 Age UK Oxfordshire is upping its knitting game with a new selection of exciting miniature hat designs for the Big Knit campaign. 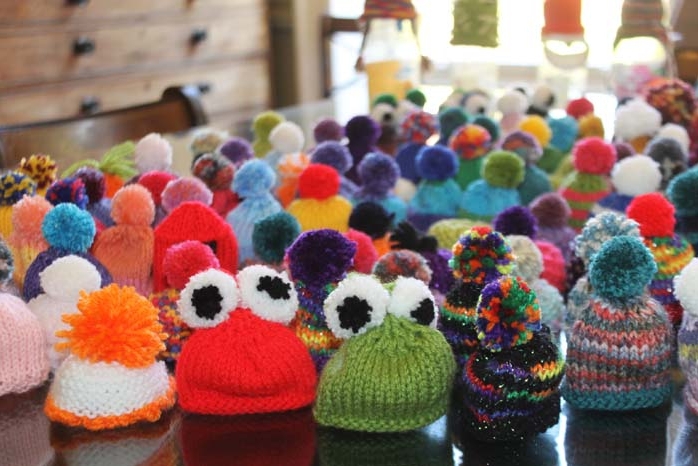 The Big Knit, which is now in its 16th year, is working with Age UK Oxfordshire and inviting everyone – whether a purling pro, crochet connoisseur or a knitting newbie – to visit the Age UK Oxfordshire website (www.ageuk.org.uk/oxfordshire/knit) to download the new hat patterns and join in the campaign. 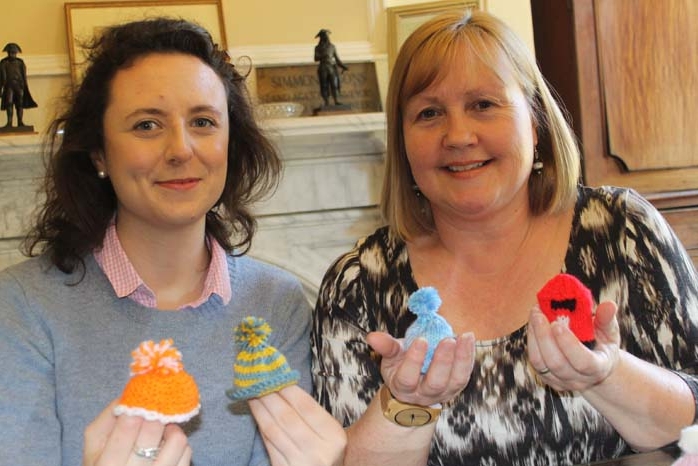 Linda Thorne, Brand & Marketing Manager for Simmons & Sons in Henley first saw the “Big Knit” advertised on twitter and thought it would be good for the company to get involved. After they downloaded the patterns from the Big Knit website, brought a variety of coloured wool and knitting needles the work began. 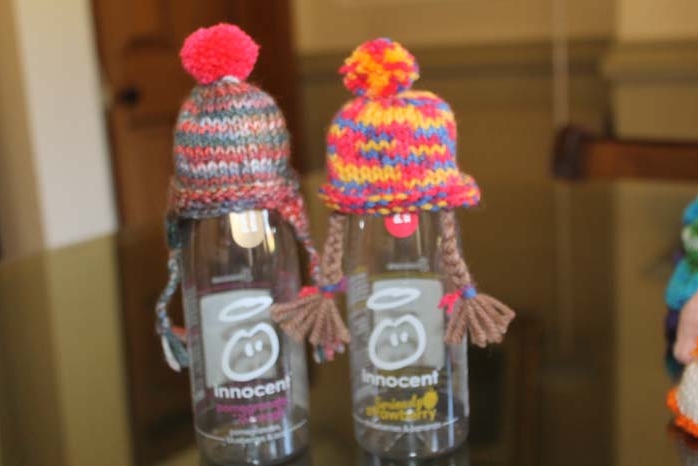 Age UK Oxfordshire is aiming to hit an impressive target of 25,469 hats to adorn innocent smooth bottles later this year. 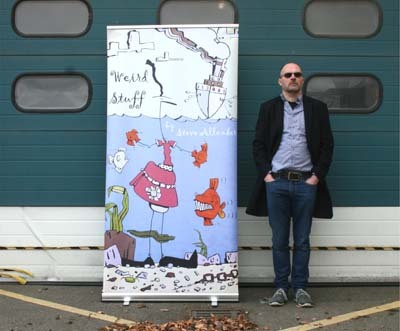 For each be-hatted smoothie sold*, Age UK Oxfordshire receives 25p, and that money helps the Charity support older people who are facing later life alone.